About 70% of Christian youth leave the church after high school and 80% of those teens said they had no plans during high school to leave their church (LifeWay Research, 2007). Research showed that most of the dropout took place between the ages of 17 and 19. The majority of teens in the study said they stopped going to church because they no longer saw it as important to their life. Some eventually return to church attendance when they have children of their own, but many do not. I started questioning Christianity at the age of 12 and left the ‘faith’ of my parents at the age of 17 (I say my ‘parent’s faith’ because it was never my faith). Within one year of leaving the church I was an atheist. Unfortunately, that is the story of hundreds of thousands of Christian families in North America and Europe. 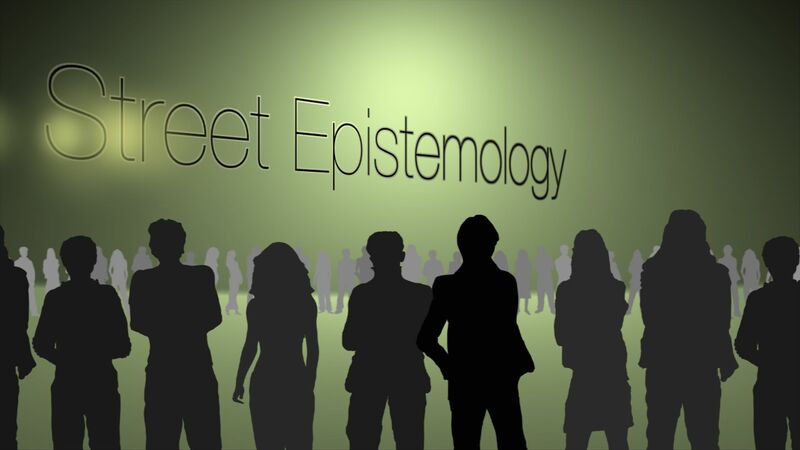 That fact makes the disguised ‘interventions’ of street epistemologists even more dangerous because the Church has not equipped children and young adults to know why they believe what they believe. In this final section of our special series, Street Epistemologists – On Guard, we will share the 5 Steps to Faith Defense that will help prepare your children and the children in your church to face the enemy head on. Paul and Barnabas were bold in traveling from city to city preaching the Gospel, but they were also ‘aware’ of their surroundings. Because they were aware of the potential for violence against them, they ‘became aware’ of a specific threat and fled Iconium for Lystra and Derbe. How does this work in a Christian family and church? Who is responsible for putting on the ‘armor’ of God on children and teens and training them how to use it? Christians should walk respectfully and honorably toward each other in light of the respectful and honorable way in which God called us. Christians should demonstrate their respect for each other in a spirit of humility and gentleness, with long-suffering, bearing with each other in love, working hard to keep the unity of the Spirit in the bond of peace. Jesus gave special leaders to the Church (apostles, prophets, evangelists, pastors and teachers) for the primary purpose of training Christians for their ministries, for the building up of the Body of Christ until everyone comes to the unity of the faith and of the knowledge of the Son of God; until every Christian is spiritually mature and no longer immature because of the effective working by which every part of the Body does its share, causing the Body for the building up of itself in love. Christians should no longer live like non-Christians, but should put away anything that resembles their previous life as an unsaved person, including deceitful lusts, and become what God called them to be in true righteousness and holiness. Christians should stop lying to each other and speak the truth in a loving way. Christians should not sin when they’re angry because that gives Satan a hold on their emotions and actions. Christians should not steal, but work with their hands and give to people in need. Christians should not speak words that tear down people, but say those things that build up people. Christians should not grieve the Holy Spirit of God. Christians should put away all bitterness, wrath, anger, loud and confusing speech and words that have an evil intent. Christians should be kind to each other, tenderhearted, forgiving one another, even as God in Christ forgave them. Be imitators of God as dear children and walk in love as Christ has love us and gave Himself for us as an offering and a sacrifice to God. Walk as children of light because we are light in the Lord (even though we were once darkness). We need to walk carefully and wisely, buying up every opportunity that comes our way, because the days are evil. We need to understand what the will of the Lord is and be controlled by God’s Spirit. We need to God for all things all the time. We need to submit to one another in the fear of God. Wives should submit to their own husbands in the same way they submit to the Lord and husbands should love their wives in the same way Christ loved the Church and gave Himself for her. Husbands should love their own wives as they love themselves. Fathers should not provoke their children to wrath, but bring them up in the training and admonition of the Lord. It’s obvious from the context of Paul’s letter that the responsibility for training children and teens belongs to parents and the responsibility for training parents belongs to gifted church leaders. That training begins with helping children and teens understand the dangers they face as Christians (e.g. the world, the flesh, the devil – Ephesians 2:1-3) and the importance of being ‘on guard’ against the ‘wiles of the devil’ (Ephesians 6:11). Our saved children are also ‘children of God.’ Just as they have a human father and mother, they have a Divine Father, Savior and Comforter. Just as Christians parents ‘provide for and protect’ their children, our Heavenly Father ‘provides for and protects’ His children, and that includes our children. Instead of just teaching our children Bible ‘stories,’ we need to teach them the overarching STORY of the Bible: that God is Sovereign in the Universe. Rather than our children just knowing the stories in the Bible, they need to understand why God tells us those stories. The Bible is God’s Story about Himself. The individual stories in the Bible reveal the Character and Will of Almighty God. That’s what our children need to know before they leave home to face the world. Step 1 of Faith Defense is to ‘Be Aware.’ It reminds me of how Jesus answered the verbal attacks of the Sadducees – “You are mistaken, not knowing the Scriptures nor the power of God.” (Matthew 22:29-30) Our children need to understand those two things to effectively face the attacks of the world on their Faith in Christ: the Scriptures and the Power of God. It begins with ‘awareness’ of the importance of God’s Word and the knowledge of His Power to provide and protect our children. Join us next time as we look at the second step of the 5 Steps of Faith Defense. A little light on the SE, this one. If your God belief was true, really true, do you think one would have to resort to warning others about answering a few simple questions? Hi, Anthony. What does the truth of God’s existence have to do with the weakness of humans who believe in Him? Where is the connection? Thanks!